Who says L.A. needs to build a subway? 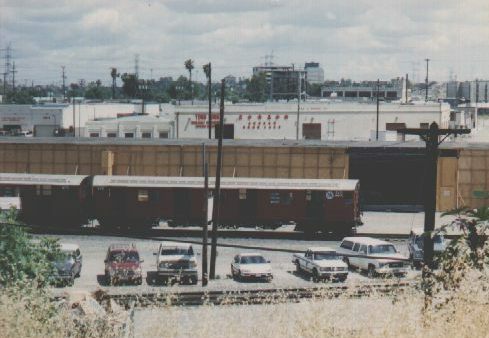 This is a very short adventure, but it is typical L.A.
Back in 1995, one of the movie studios built a mile-long wooden box over the rail yards next to Chinatown in Los Angeles. Inside was a replica of parts of the New York City subway. 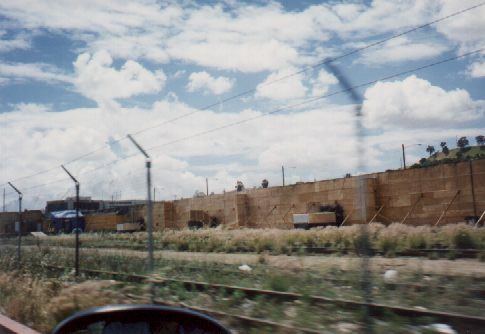 This was a set for the movie "The Money Train". Most of the movie was filmed in the real NYC subway, but some of the stunts were considered too disruptive and dangerous to film there, so the studio built its own subway. There are some pictures and a little bit of background information about filming some of the stunts from this movie at http://www.callicosfx.com/Behind_The_Scenes/Money_Train/money_train.html. 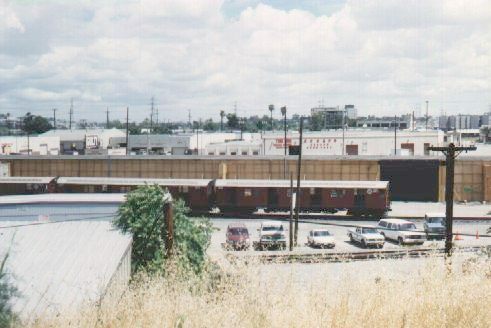 It was very strange to see IRT subway cars parked in the L.A. sunshine, but here they are. 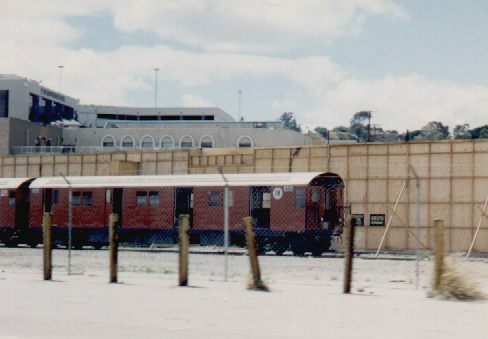 This is a view of the outside of the structure. And here is one more view of a parked subway train sitting outside. Of course, there is a real subway in Los Angeles. Information about it can be found at the MTA web site. Of course, I think it's kind of a waste of money here in L.A., and I've written letters to the editor published in the L.A. Times about this topic.